"In this brand new 6-hour course, IM Valeri Lilov teaches you the 47 most important endgames that anyone from an amateur to Grandmaster must know." Most chess books and videos are focusing on so-called theoretical endgames. Those are your typical King vs. Pawn, Rook and Pawn vs. Rook and other endgames. What’s missing is the practical endgames. Those are not necessarily the exact replicas of the positions you’ll find in most endgame manuals. Those are the positions club players encounter regularly in their games. There is hardly any theory because there are just too many possibilities. How do you learn the practical endgames? The only way to master those endgames is by learning the patterns. That’s exactly how Grandmasters outplay those lower rated opponents. GMs simply know enough endgame patterns, to play those positions precisely. The second component is the experience. Of course, you won’t wake up an endgame master overnight. Working on endgames involves time and dedication. But the good news is… there is a huge shortcut. Not learning positional fundamentals stagnates your development as a chess player and won’t let you utilize full potential. In this brand new 6-hour course, IM Valeri Lilov teaches you the 47 most important endgames that anyone from an amateur to Grandmaster must know. Valeri reveals his groundbreaking methodology which allows playing endings precisely and with almost zero memorization. It is based on pattern recognition and general understanding of endgame principles. It is a very powerful weapon, yet simple enough that any club player can quickly grasp it. Ability to convert endgames is a practical skill, not bare knowledge. That’s why along with the video course you are getting access to the endgame trainer which tremendously helps at gaining necessary experience of playing the most important positions. After finishing this course and getting sufficient practice, you will be able to convert those endgames even with limited time on the clock and under tournament stress. We understand that you need FAST RESULTS, and that’s exactly what this package delivers. 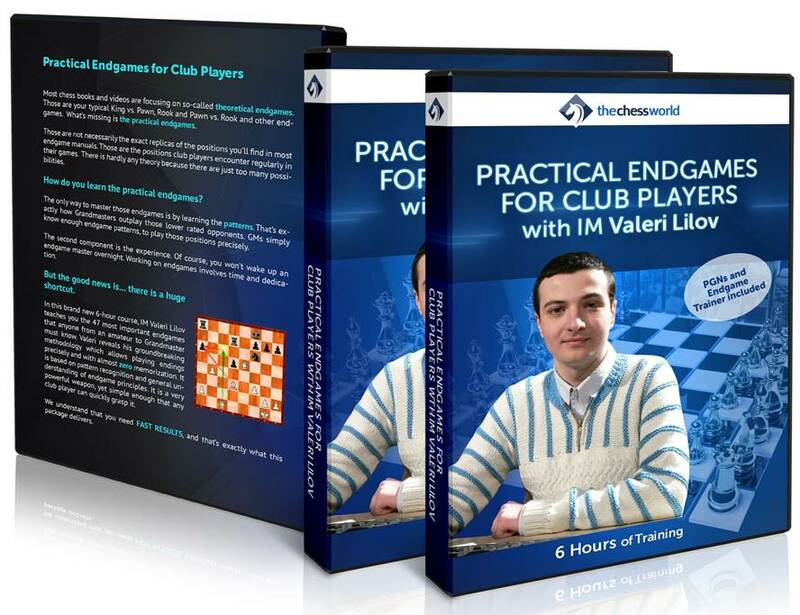 Instant download of 6+ hour practical endgame course for club players. It is a highly structured training covering 47 most important endgames positions that every chess player must know. You won’t wake up an endgame expert overnight, but thanks to IM Lilov’s decade of practical and teaching experience, you will get a substantial edge against competition of any level. Get access to special resources such as practicum and training exercises to reinforce concepts presented in the course. Download examples covered in the video course in PGN notation format, so that you can analyze it at your convenience. The pawn endgames are considered to be the simplest of all. However, due to its simplicity many club players run into trouble of not understanding them deep enough to convert into wins. This chapter insures that won’t be happening to you. The knight endgames are fairly tricky because of nature of the piece itself. Majority of under 2200 players have very little understanding of how those endgames should be played. In this chapter you will learn about the functionality the knight brings into the endgame. This knowledge should be sufficient enough to outperform most club players in the knight duels. The bishop endgames look incredibly simple, but only at the surface. There is a lot more complexity underneath and this chapter will give you all the necessary tools to help demolishing your club level opponents. The rook endgames are the most common and most complex of all. This chapter gives you a sufficient knowledge to survive and even win majority of the rook endings against a stronger opponent. This chapter will help you master the queen endgames. You will learn how to draw some of the positions being a pawn down, and win the others. A must know for any club player. Those are typically more complex endgames, with multiple pieces present on the board and various pawn structures. This chapter gives you an overview of the most important positions of that kind. Armed with the principles you should have no problems outplaying your club level competition. 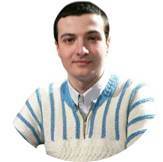 better known as Tiger Lilov, is a professional chess coach and lecturer renowned for his personalized approach to training students and professional players from all over the world.Having been an active tournament player all his life, he has won many international open tournaments and championships including the European Individual School Chess Championship U10 (Moscow, 2000) and the Kulaga Memorial International Open (Minsk, 2007).